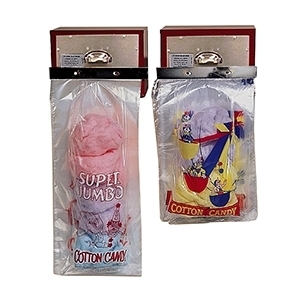 The floss bagger is shown here with printed cotton candy bags mounted and ready to be filled. 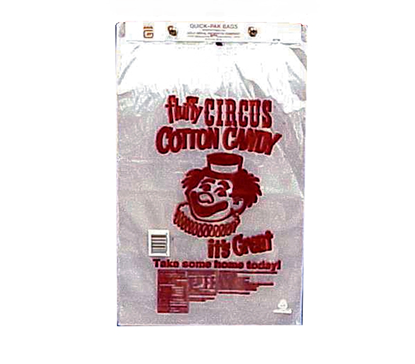 The blower shoots air down along the front lip of the bags on the header and by the time you’ve made another serving the bag is open. 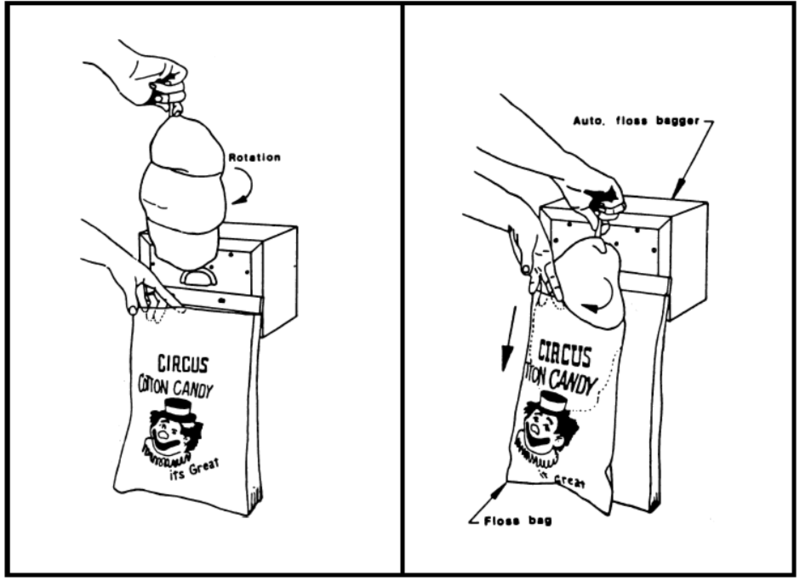 The Automatic Floss Bagger is the "3rd hand" needed for bagging cotton candy. It has mounts for the bracket attached to the bag packs. Just place the bracket on these mounts and slide the bracket to secure. Then secure the Bagger to a smooth surface with the suction-cup feet and plug the machine in. 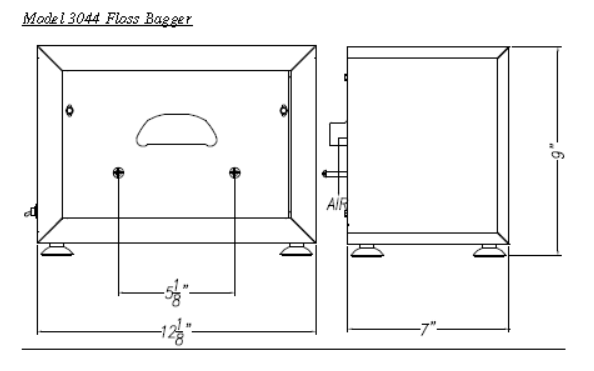 The Automatic Floss Bagger is now ready to help boost your cotton candy sales. 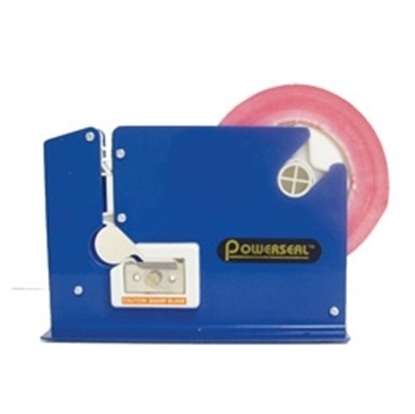 Just turn on the switch and the blower will open the front bag. • 60 watts 120v, 60Hz. 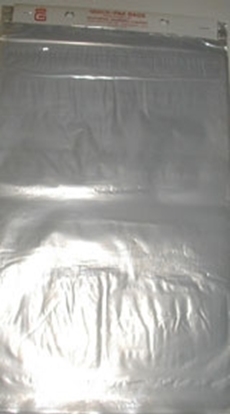 Plain Quick Pak Bags 12 inch wide x 18 inch long. 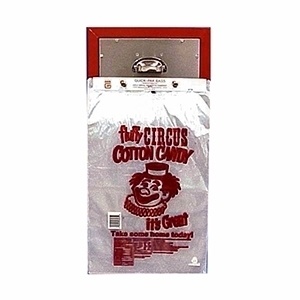 Bags are mounted on a cardboard header, 100 bags per header. 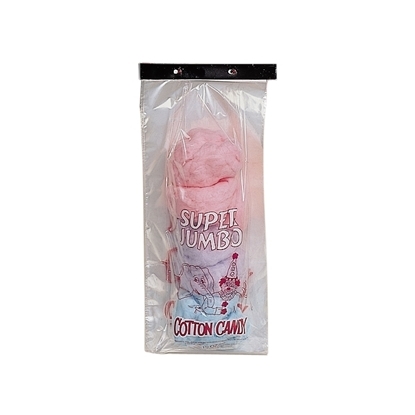 Cotton Candy Sold in Bags Can Double Your Sales.Sold in a pack of 100 or a case of 1000. Click the Detail Button to select.